Do you worry about your weight? Research participants wanted! We want to develop better tools to study concerns about weight and body image. 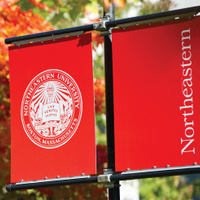 This study is open to female undergraduates at Northeastern University who are at least 18 years old. Come into the lab twice (2h), take a survey, and have your physiological responses (heart rate, reflexes, skin conductance), height and weight measured. We will also ask you to generate and listen to verbal scripts and ask you to take a survey. As a thank you for your participation, you will receive a $40 gift card. If interested, or for more information, please email: appear.neu@gmail.com. Research conducted by Dr. Rachel Rodgers, Department of Applied Psychology, Northeastern University.